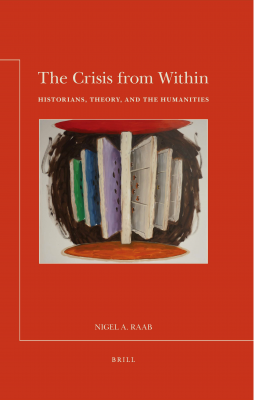 Dr. Raab is the author of All Shook Up: The Shifting Soviet Response to Catastrophes, 1917-1991 (McGill-Queen's University Press, 2017), The Crisis from Within: Historians, Theory and the Humanities (Leiden and Boston: Brill, 2015), Who is the Historian? (Toronto: University of Toronto Press, 2016), Democracy Burning? Urban Fire Departments and the Limits of Civil Society in Late Imperial Russia, 1850-1914 (McGill-Queen's University Press, 2011). 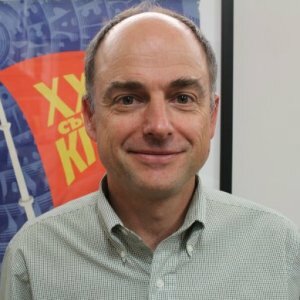 Nigel focuses on Russia, the Soviet Union, civil society, natural disasters, and theories of historical analysis. Almost forty years ago, Reyner Banham glorified the automobile culture of Los Angeles in text and on television, mistakenly shifting our attention away from a fundamental human activity - walking. As a corrective, this course explores the meaning of walking from the eighteenth century to the present in an international context. From Jean Jacques Rousseau's contemplative walks in the eighteenth century, to the formation of Swiss hiking clubs and the Sierra Club in California at the end of the nineteenth century to Marina Abramovic's performance art walk along the Great Wall of China in 1988, walking has a humanistic dimension which extends well beyond the mundane exercise of placing one foot in front of the next. Paris has long been a revolutionary city because it is so amenable to walking and processions. Sidewalks, such abandoned sites in our own city, represented critical political spaces in commercial areas where they occupied a blurred zone between public and private. Philosophical, literary, environmental and historical texts will be combined with the works of performance artists and photographers to situate walking in a broad framework, demonstrating to the unsuspecting student that even the simplest exercises can have broad ramifications in our lives. What is to like to be part of a human social experiment? What is it like to be a cultural guinea pig? What was it like to live in the Soviet Union? The Soviet Union is often portrayed as the Communist foe of the United States but it was also a testing ground for new ways of living. Since it was a socialist society, the state turned life into a massive cultural laboratory. Through books, films and other documents, we will explore artistic and literary expression from 1917 until the collapse of the Soviet Union in 1991. We will investigate important issues relevant to cultural production. These include the portrayal of women, the struggle of Christian, Jewish, and Muslim cultures to survive, the negative portrayal of America in Soviet films, the glorification of the iron worker, etc. The seminar will bring the Soviet Union to life in a way Richard Nixon never could. This course explores the demise of the Russian tsars and the creation of the world’s first communist society. It focuses on the development of an underground revolutionary movement in which radical men and women plotted to overthrow the autocrats. It also looks at the works of reformers who hoped to build a democratic society. In the Soviet period that followed the revolution of 1917, the course examines a society that experimented with radical women’s rights, avant garde film, nationalist movements and socialist realism. At the same time, it will look at the excesses of communism and try to explain why the communist party sent so many of its own citizens to death in cold work camps in Siberia. At the end of the course, we will assess the state of democracy in contemporary Russia. When the communists violently deposed Tsar Nicholas II in 1917, they hoped to build a technologically advanced state for the workers and peasants who had suffered under the tsars. They therefore actively promoted technological innovations such as film, a media they could also use to spread their communist propaganda. In this study of Soviet history, we will combine lectures and readings with viewings of a select number of films. The course investigates the revolution of 1917, cultural experimentation in the 1920s, the traumatic effects of World War II, and the changing nature of the Soviet Union after the death of Stalin in 1953. At each stage, films were used to shape the way people thought about the socialist state. While the Soviet Union has often been portrayed as a grey totalitarian state, the films show a more complex view of a society in constant transition. The course will relate the goals of directors (Eisenstein, Protazanov, Vertov, etc.) to the techniques they used to convey revolutionary values. From the flooding after Katrina in 2005, to the Haitian Earthquake in 2010, to the nuclear disaster at Fukushima in 2011, natural disasters have become regular news items. This course, drawing on the instructor's own research in Soviet disasters, examines natural and man-made disasters from the eighteenth century to the present. Students will explore how the relationship of human beings to the natural world has changed dramatically. From religious explanations of the Lisbon earthquake in the eighteenth century to Soviet confidence about controlling nature in the twentieth century, students will see how natural disasters, so much more than scientific phenomena, were categorized according to the mores of specific societies. In all these situations, political and economic interest groups tried to steer disasters and the rescue operations to their best advantage. Since the aftermath of disasters encouraged artistic production, such as the artworks which helped Haitian residents heal in 2010, the course shows how humans use their creative impulses to confront the often overwhelming power of nature. In addition, since disasters are not confined to a single part of the world, the class has a global dimension as examples will be taken from many continents. Students will be able to critically analyze these competing interests with respect to specific historical disasters and then compare this analysis with their understanding of contemporary natural disasters.